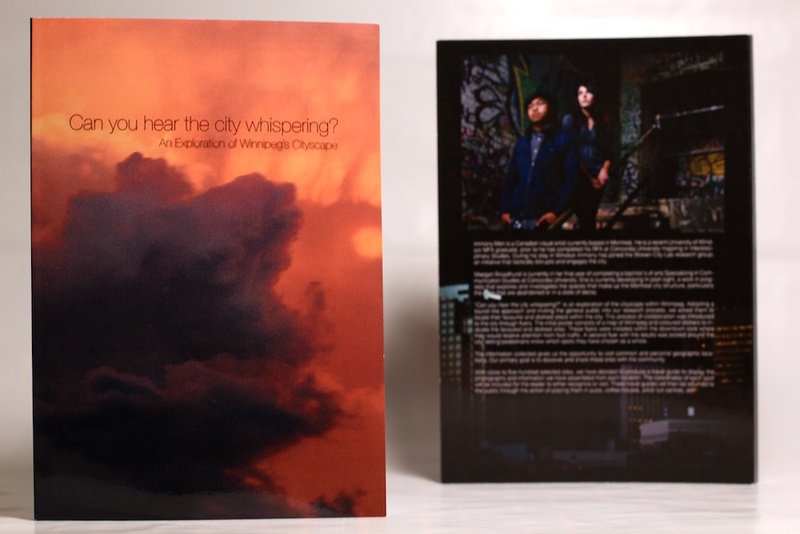 Can you hear the city whispering is the result of a two and a half month self-directed residency with my collaborator Maegan Broadhurst. 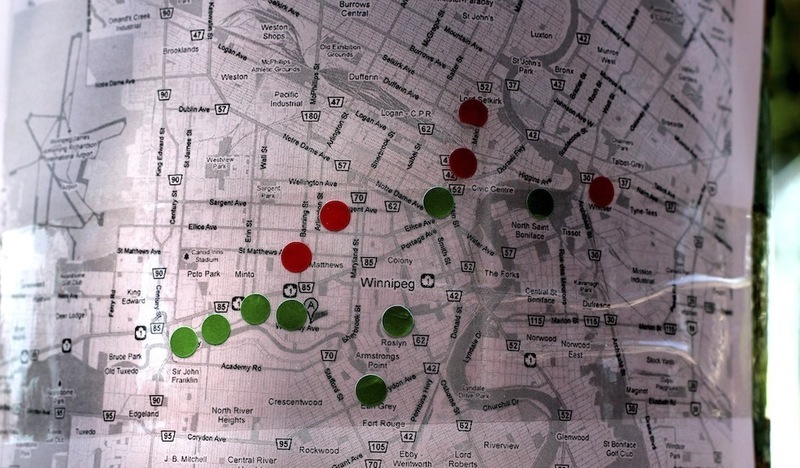 The project is an exploration of the cityscape within Winnipeg. We’ve decided to take a tourist-like approach to our current collaboration and include the general public into our research process, by asking them to locate their favorite and disliked place within the city. The information collected has given us the opportunity to visit common and personal geographic locations. 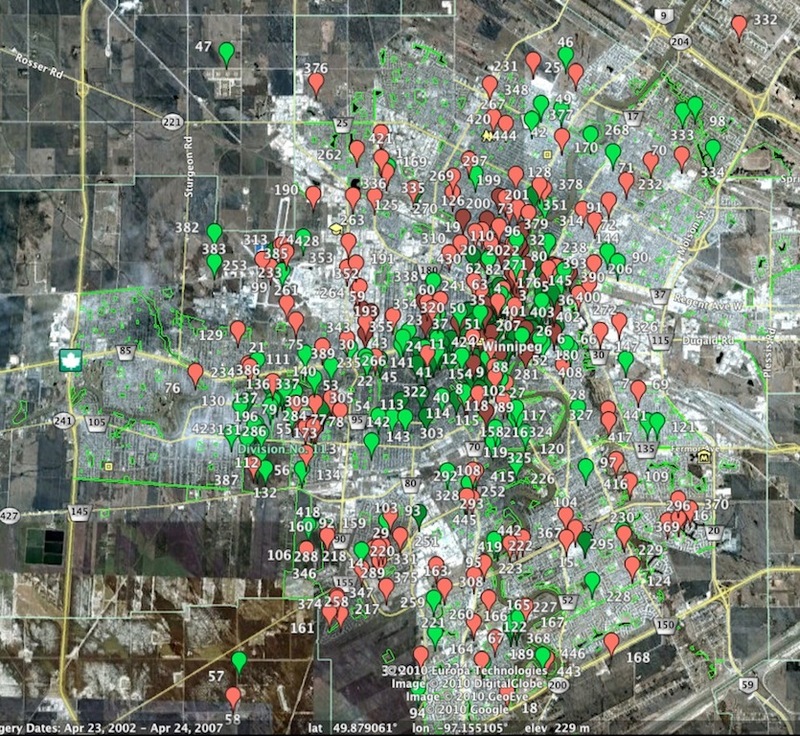 Our primary goal was to discover and share these sites with the community. With close to five-hundred selected sites, we have decided to produce a travel guide to display the photographs and information we have assembled from each location. The coordinates of each spot will be included for the reader to either recognize or visit. Sharing the favored and disliked sites with the public is a key element to bringing the project full circle. We have self-published the travel guides and returned it to the public through the action of placing them in pubs, coffee-houses, and artist- run centers.